Silver medal of shame for Greece for non-compliance with decisions of the EU Court of Justice, which result in financial penalties costing millions of euros. Another silver medal of shame for the high number of open EU environmental law infringement cases. Extremely low levels of collection of financial penalties imposed for environmental law violations, endless intransparent efforts to legalise illegal buildings and land uses, restart of the Acheloos River Diversion pharaonic plan. 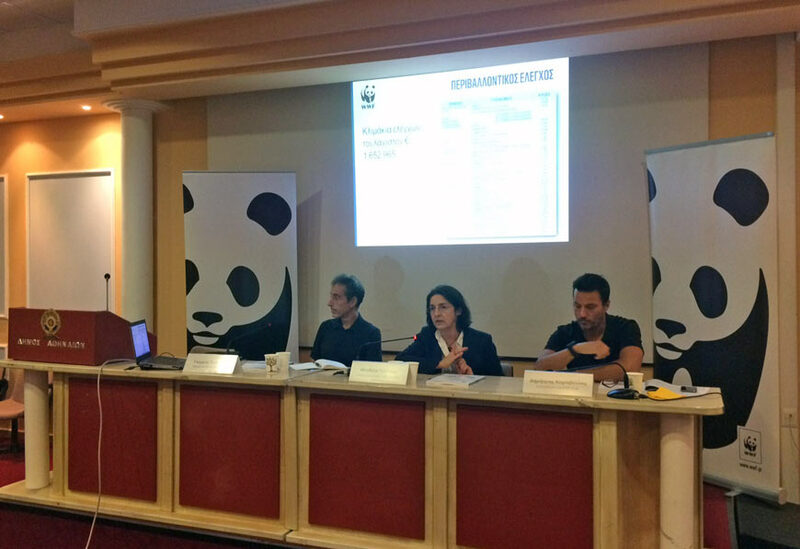 These are a few highlights from Greece, regarding the status of implementation of environmental laws and policies for 2017, according to WWF Greece. The 13th annual environmental law review published by WWF Greece review gains particular political significance as it tracks the successes, failures and lost opportunities of the political and legislative initiatives and remains the only point of reference for the implementation of environmental policies and legislation in Greece. Continued political support to environmental law violations, through the endless process of legalization of illegal buildings, even in forest lands. Five open cases of non-conformity with EU Court of Justice decisions for serious violation of EU environmental law by Greece. 24 open cases of infringement of EU environmental law by Greece. The oil spill which polluted Saronikos Bay by the sinking of the Agia Zoni II tanker, which proved the severe weaknesses in Greece’s immediate response system to marine pollution crises. Licensing by the Environment and Energy Ministry of hydrocarbon exploration and exploitation rights to the joint venture of Total (operator)-Edison-Hellenic Petroleum. Obligation of the state utility Public Power Corporation to sell 40% of its lignite portfolio, a fact which threatens to perpetuate Greece’s dependence on lignite. Increasing lack of transparency in the access to environmental information provided by the Ministry of Environment’s Environmental Inspectorate. Massive failure to collect the financial penalties imposed for environmental law violations.